A few years ago I got married and moved to Mumbai. There were a lot of problems there and I couldn’t adjust – there was no work, and we were staying with my husband’s relatives. How long can you eat off the generosity of others? We didn’t have a house or any money. Finally after a couple months I told my husband, “This isn’t working for me. 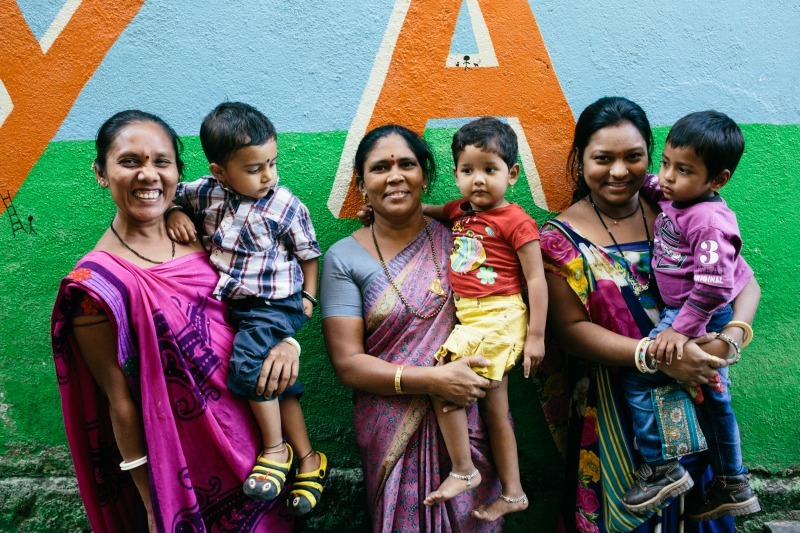 I’m going back to Pune.” I got my job back at AIC and became the sole provider for us. My husband didn’t work, so my salary paid for the rent, household expenses, and everything else. My husband used to fight with me all the time. Then he fought with me and left me – I was pregnant at that time. He didn’t come back until I delivered the baby. He came back but was the same as before. From the time I got married, he’s always been like this. Then when my daughter Piyu was 10 months old, he left us again. He just came back 2 weeks ago – after 2 and a half years. When I talk about it, I cry – so I try not to talk about it. Right now I live in my mother’s house. 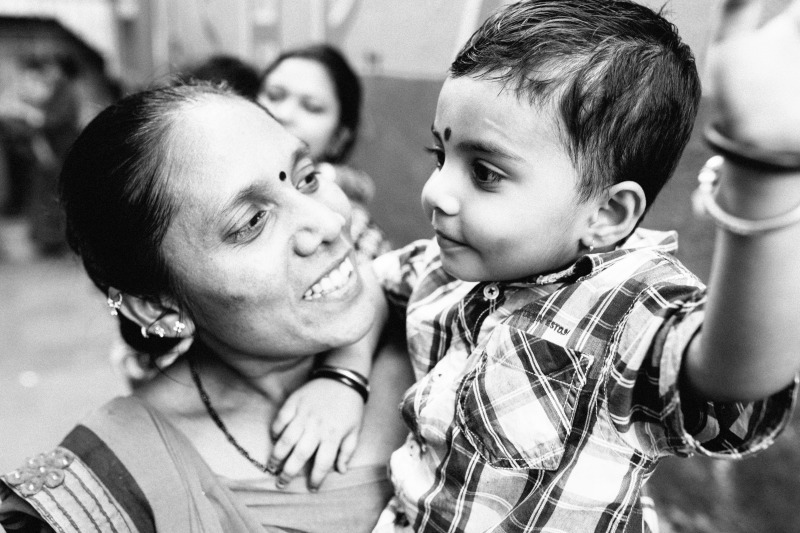 Piyu is 3 years old and will be starting nursery school at AIC in June. I can’t rely on my husband at all for help. I earn, and from that I live my life. 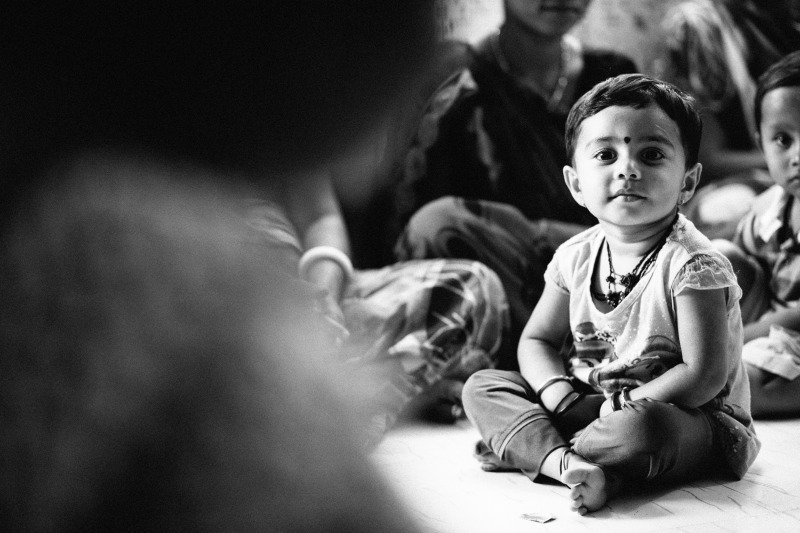 I’ve already raised Piyu on my own – through great difficulties and hardships – for this long. But because of this job I’ve managed – otherwise I wouldn’t have been able to do it. Because of that, I’ve been able to make it this far. Waghris are not interested in education. Waghris aren’t educated – so what do they know about education? We’re all illiterate and sign with our thumbprint. So people don’t feel like it’s important to educate their children. They’re only interested in eating, bathing and other basic day-to-day things. There are a lot of problems in our slum. Many families don’t have food to eat. When they manage to sell things in the market, they eat. When they don’t, they can’t eat. There are lots of houses that don’t have running water. There are families with a mother and no father, families where the mother or father ran off and left the children. Women are the ones who do most of the work – trading and selling old clothes. Men work for a day and then don’t do anything for 2 or 3 days. Women are the ones that have all of the burden and stress – the situation of women in our community is very bad. There are a lot of problems in our community. I don’t talk about these issues much, but I see everything that happens in the community. 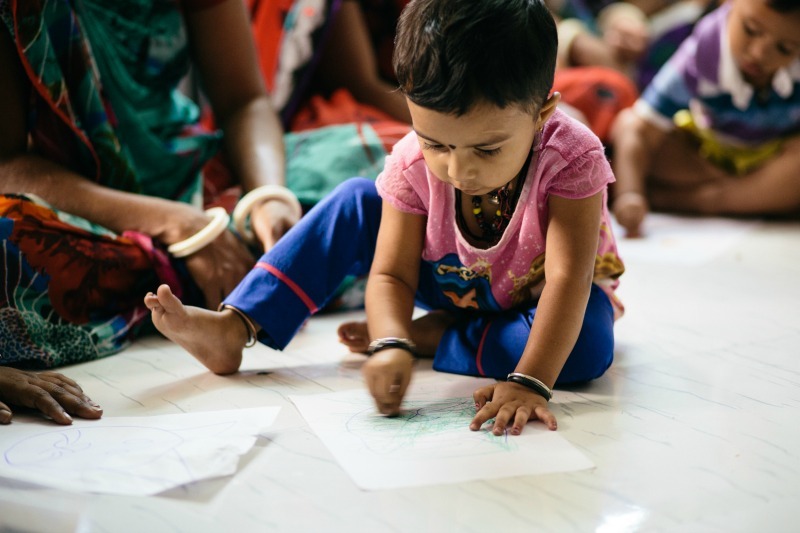 With your support, AIC has been able to continue providing birth-to-college programming to ensure that little ones like Priya are cared for at every stage of their lives. 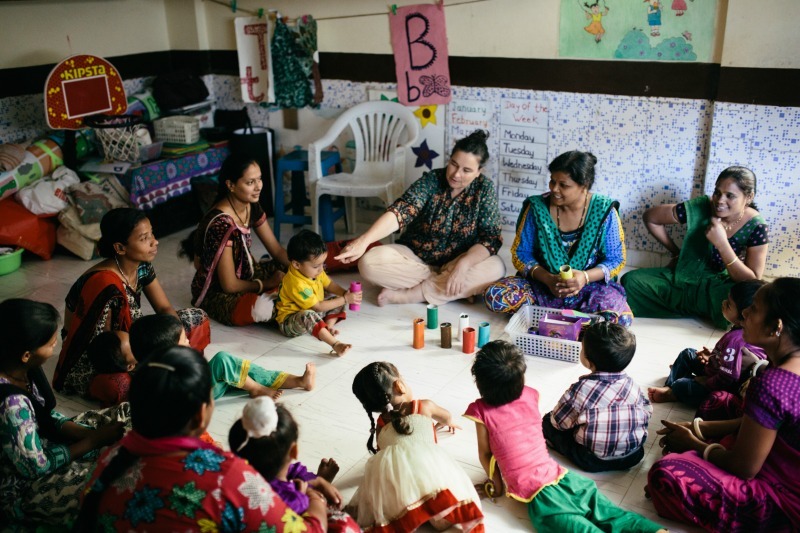 Playgroup is an integral part of our early childhood education process, and we are proud to have supported Priya and her mother on their journey toward a better future.